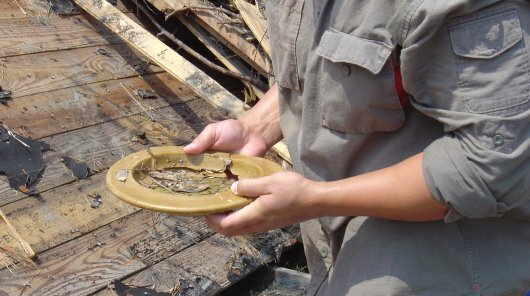 We found one of our broken offering plates amid the storm rubble. Thank you so much for your support. To sustain the monumental ministry God has granted us through the relief, recovery, and rebuilding efforts, we depend on the generous gifts sent in from others.